Anti-fibrinolytics were first introduced by a husband and wife team of Japanese researchers searching for a product that would help prevent maternal mortality associated with postpartum hemorrhage. In the 1960’s, they invented the first anti-fibrinolytic agent, Episilon Aminocaproic Acid (eACA). Initial efforts demonstrated the need for more potent anti-fibrinolytics and lead to the identification of what is now known as Tranexamic Acid (TXA). Initially this was marked as a medication for menorrhagia and bleeding after dental extractions, but further research in the utilization of this medication proved to be significantly astounding! TXA was originally described as a chemical able to inhibit the enzymatic breakdown and degradation of fibrin by plasmin. It is an amino acid (lysine) analog that binds to the lysine-binding site on plasminogen; thus preventing the conversion of plasminogen into plasmin and blocking clot breakdown. Although its utilization began in the 1960’s, it was not until 2010 when studies demonstrated a mortality benefit in trauma patients. TXA has the highest hypothetical benefit during the trauma induced “Lethal Triad” of death, which describes the implications of hypothermia and acidosis on coagulation. It has been cited that for every degree decrease from core temperature, coagulation factor activity decreases by 10%. Acidosis contributes to this triad by reducing Factor Xa, platelet counts, and fibrinogen levels; thus further highlighting the importance of fibrin clot preservation by using an antifibrinolytic such as TXA. The (Military Application of Tranexamic Acid in Trauma Emergency Resuscitation (MATTERs) study released in 2012 was a retrospective cohort analysis of 896 military trauma patients. A multivariate logistical analysis of a subgroup of patients who met criteria for activation of massive transfusion, demonstrated that TXA was independently associated with reduced mortality with an odds ratio (OR) for survival of 7.23 (Morrison et al, 2012). The release of the World Maternal Antifibrinolytic (WOMAN) trial in 2017 marked increase interest in the utilization of TXA in obstetrical populations to reduced post partum hemorrhage (PPH). This randomized control trial consisting of 20,000 females diagnosed with PPH-after vaginal or cesarean delivery from 193 hospitals across 21 countries and found that death due to bleeding was reduced in patient who received 1g of TXA within three hours of delivery compared with placebo( ARR 0.4% and NNT 267). Simonazzi et al performed a systemic review and meta-analysis of randomized control trials in 2016 regarding TXA in the peripartium population. Researchers identified 9 trials consisting of 2365 females and noted a significant decrease in: PPH rates, frequency of severe PPH, decrease in post partum blood loss, hemoglobin depreciation, and utilization of medications to increase uterine tone in those who received TXA prior to c-section compared with those who did not. Additionally there was not a significant difference in incidence of thromboembolic events between either group (Simonazzi et al 2016). Wang et al noted trends towards reduced: total blood loss, transfusion requirements, and duration of surgery (Wang et al, 2017) in patients receiving TXA perioperatively after open myomectomy. Orthopedic surgery literature has additionally begun investigating the utilization of anti-fibrinolytics in their practice. Although additional data is needed, a systematic review of randomized control trials also demonstrated a decrease in transfusion requirements and blood loss in patients undergoing total hip replacement or total knee arthroplasty given TXA without an increased risk in VTE in both study groups (Kagoma et al, 2009). [EA1] Finally, additional research to examine TXA utilization in Traumatic Brain Injury (TBI) patients after a systematic review of TXA utilization in patients with TBI/Intracerebral hemorrhage showed decreased ICH regression in patients receiving TXA but did not statistically change clinical outcomes (Zehtabchi et al, 2014). As this data and clinical implications continue to be discovered and developed, be on the look out for more exciting discoveries in this realm and keep in mind that TXA is not simply limited to cases with Trauma! CRASH-­‐2 trial collaborators. Effects of tranexamic acid on death, vascular occlusive events, and blood transfusion in trauma patients with significant haemorrhage (CRASH-­‐2): a randomised, placebo-­‐controlled trial. Lancet. 2010 Jul3;376(9734):23-­‐32. CRASH-­‐2 collaborators. The importance of early treatment with tranexamic acid in bleeding trauma patients: an exploratory analysis of the CRASH-­‐2 randomised controlled trial. Lancet. 2011 Mar 26;377(9771):1096-­‐101, 1101. Morrison JJ, Dubose JJ, Rasmussen TE, Midwinter MJ. Military Application of Tranexamic Acid in Trauma Emergency Resuscitation (MATTERs) Study. Arch Surg. 2012 Feb;147(2):113-­‐9. Simonazzi G, Bisulli M, Saccone G, Moro E, Marshall A et al. Tranexamic acid for preventing postpartum blood loss after cesarean delivery: a systematic review and meta-analysis of randomized controlled trials. Acta Obstet Gynecol Scand. 2016 Jan;95(1):28-37. Wang D, Wang L, Wang Y, Lin X. The efficiency and safety of tranexamic acid for reducing blood loss in open myomectomy: A meta-analysis of randomized controlled trials. Medicine. 2017; 96 (23): e7072. Shakur H, Roberts I, Fawole B, Chaudhri R et al. Effect of early tranexamic acid administration on mortality, hysterectomy, and other morbidities in women with post-partum haemorrhage (WOMAN): an international, randomised, double-blind, placebo-controlled trial. Lancet Glob Health. 2018 Feb;6(2):e222-e228. doi: 10.1016/S2214-109X(17)30467-9. Kagoma YK, Crowther MA, Douketis J, Bhandari M, Eikelboom J, Lim W. Use of antifibrinolytic therapy to reduce transfusion in patients undergoing orthopedic surgery: a systematic review of randomized trials. Thromb Res. 2009 Mar;123(5):687-96. Winter SF, Santaguida C, Wong J, Fehlings M. Systemic and Topical Use of Tranexamic Acid in Spinal Surgery: A Systematic Review. Global Spine Journal. 2016; 6 (3): 284-95. Zehtabchi S, Abdel Baki SG, Falzon L, Nishijima DK. Tranexamic acid for traumatic brain injury: a systematic review and meta-analysis. Am J Emerg Med. 2014 Dec;32(12):1503-9. Kini RM, Koh CY. Metalloproteases Affecting Blood Coagulation, Fibrinolysis and Platelet Aggregation from Snake Venoms: Definition and Nomenclature of Interaction Sites. Toxins. 2016; 8(10):284. A previously healthy 3-year-old girl presents to the ED with her mother. Her mother reports that she has had a cough and nasal congestion for the past 2 days. She reports she has been sleeping most of the day and “not acting like herself”. She denies her having any fevers at home. Mom also endorses her having a poor appetite and decreased urine output over the past 1-2 days. On arrival to the ED she presents with the following vital signs: T 36.4, P 150, BP 95/63, 98% RA. On exam she is lethargic. She is pale and diaphoretic appearing. She appears tachypneic but does not have any retractions. You identify crackles in the left lower lobe as well as nasal congestion. You identify cool extremities with delayed capillary refill and thready peripheral pulses. Her CBC, BMP and UA are normal, however she has a lactate of 5.5. 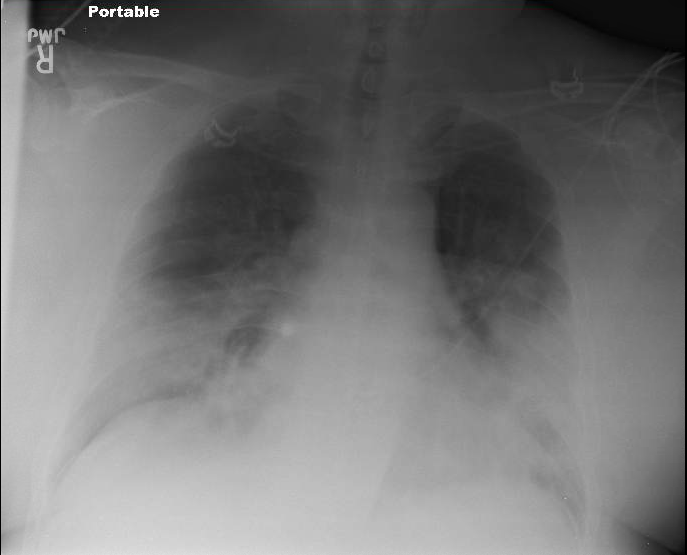 Chest X-ray demonstrates mild perihilar infiltrates with absence of cardiomegaly. You decide to administer a 20cc/kg normal saline fluid bolus. You obtain blood and urine cultures and start antibiotics. Soon after, you notice that she has worsened tachycardia, altered mental status and now hepatomegaly on exam. Her viral respiratory panel finally comes back positive for coronavirus. 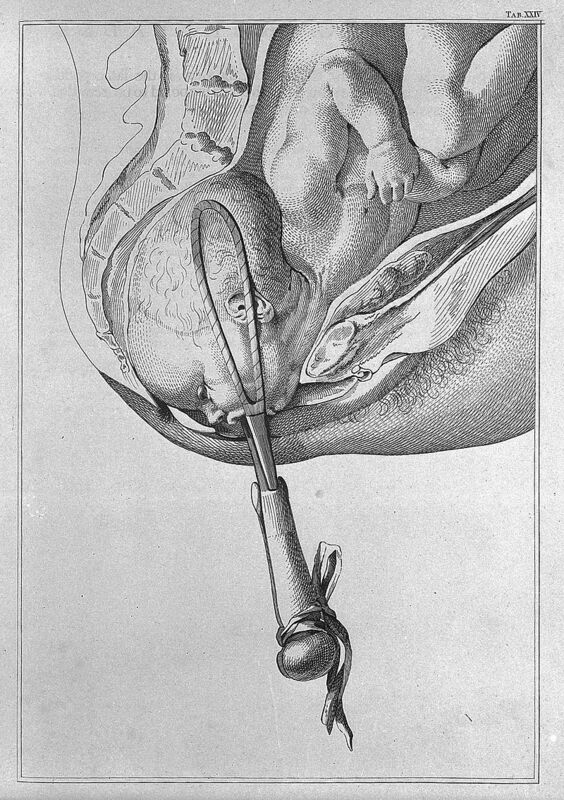 As you notice the child decompensating, you quickly fetch your trusty ultrasound machine to perform a bedside echo. What you notice befuddles you! Given what appears to be severe depressed biventricular function on your bedside US, your leading diagnosis is viral myocarditis! Myocarditis can be described as an inflammatory condition of the heart muscle, which can progress to non-ischemic dilated cardiomyopathy and congestive heart failure . While it has often been considered to be a rare disease, evidence from autopsies in the pediatric patient population indicates that 1.8% of patients have histological evidence consistent with myocarditis, of which 57% of those patients presented with sudden cardiac death . It is thought to have a bimodal age distribution in both infancy and early childhood (<2 years) and in mid-adolescence (14-18 years) [1, 4]. There are a vast array of known causes of myocarditis, which can be broken up into infectious and non-infectious etiologies . In the United States, viral myocarditis is by far the most common; other causes such as drug induced or autoimmune etiologies are exceedingly rare. Phase 1: “Acute” phase, describes viral infiltration and direct injury of the myocardial cells causing necrosis, further potentiating an inflammatory response. Phase 2: “Subacute” phase, describes the autoimmune reactions mediated by virus-specific T cells, cytokine reaction and antibodies to viral and cardiac proteins. Cardiac contractility decreases. Phase 3: “Chronic” phase describes the post inflammatory phase characterized by development of dilated cardiomyopathy. Fulminant myocarditis, which is a terrifying entity of its own, is characterized by sudden onset of cardiogenic shock necessitating aggressive hemodynamic support. Ironically, patients with fulminant myocarditis have overall better long-term prognosis and decreased rates of cardiac transplantation than those with acute, subacute or chronic myocarditis . The presentation of myocarditis varies along a clinical spectrum from minimal symptoms suggestive of a viral syndrome to sudden cardiovascular collapse and death. No symptom is either pathognomonic or common, making the diagnosis of myocarditis extremely challenging for the emergency physician. The most common presenting complaints are: chest pain, shortness of breath, syncope, palpitations, gastrointestinal symptoms (anorexia, abdominal pain, vomiting), poor feeding, URI symptoms, fever and lethargy [1,3]. One study stratified patients with myocarditis as having moderate to severely depressed LV function versus mild-normal depressed LV function and identified that chest pain and respiratory distress were more likely in patients with mild/normal dysfunction compared to those with moderate/severe dysfunction. In addition, the diagnosis can often be elusive in infants who may not be able to verbalize their symptoms. Once again this supports (noticing a theme yet?) that this can be an extremely difficult diagnosis to make . The key here is to always have a high index of suspicion. On physical exam, patients may be noted to have tachycardia that is out of proportion to their fever. Tachycardia that does not respond to antipyretics or appropriate fluid resuscitation in a patient with viral symptoms warrants further evaluation for myocarditis. 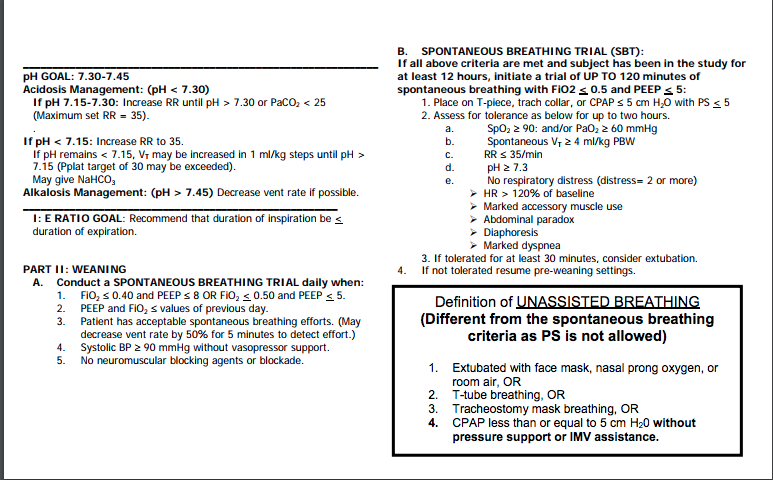 Furthermore, patients may demonstrate evidence of respiratory distress including tachypnea, cyanosis and hypoxia. Patients who have moderate/severely depressed ejection fraction are more likely to show signs consistent with heart failure which include hepatomegaly, gallop, hypotension, edema, pallor and signs of diminished perfusion and end organ dysfunction [1,3,4]. EKG: If there is suspicion of myocarditis, consider ordering an EKG. It’s cheap. It’s fast. Allthough there are no specific findings for myocarditis, many of these patients may have an EKG abnormality, which could help you hone in on a cardiac cause of their illness. EKG abnormalities that may be seen include sinus tachycardia (most common), ventricular hypertrophy, low-voltage QRS complexes and T wave inversions. CXR: Radiation exposure is bad for children. But one may argue that myocarditis is badder (yes, I know that’s not a real word.). Consider ordering a chest xray in patients requiring increased respiratory support. Chest x-ray findings of pulmonary edema, cardiomegaly or pleural effusion should increase suspicion for myocarditis. Cardiac Biomarkers: Studies show that troponin levels may be elevated among patients with myocarditis compared to those without myocarditis (sensitivity of 71% and specificity of 86% (when using a troponin T cut off value of 0.052 ng/mL). BNP levels are also more likely to be elevated in patients with myocarditis who have severely depressed LV function. That said, these tests are never diagnostic and should not be used to rule out myocarditis especially if clinical suspicion persists. Inflammatory Biomarkers: Given the inflammatory milieu created by viral myocardial injury, many patients may have elevated ESR or CRP levels, however these findings are neither sensitive nor specific. Echocardiography: This is where the money is. Point of care ultrasound in the ED has started to play a significant role in the evaluation of undifferentiated shock in pediatric patients. Patients who have fulminant myocarditis may show global left ventricular or biventricular dysfunction, dilated cardiomyopathy and reduced ejection fraction. If the patient continues to deteriorate consider performing a lung ultrasound to evaluate for B-lines, which represent pulmonary edema (and may appear before the chest xray findings pop up). The utility of bedside ultrasound is that it can rapidly guide your resuscitation and inform you if you should or should not administer fluids to the patient. In the case of the above patient, giving fluids would likely do more harm than good. Other diagnostics: Cardiac MRI and endomyocardial biopsy (gold standard) may be used as well, but, they have little utility in the acute setting and are not routinely used. Emergency department management of patients with myocarditis is largely supportive care. Specific therapies may be aimed at volume management, hemodynamic support, and antiarrhythmics in concert with emergent consultation with a pediatric cardiologist. Diuresis, most commonly with furosemide, is a mainstay of therapy and intravenous fluids should be avoided if possible. Afterload reduction can help augment cardiac output. Inotropic support should be considered in all patients with evidence of cardiogenic shock. Preferable agents include milrinone, epinephrine and dobutamine, however norepinephrine and dopamine have also been used historically. Immunosuppressive agents such as steroids have shown to have no benefit in primary outcome measures including death, transplant-free survival, or improvement in cardiac function. Other agents such as IVIG are considered to be controversial and not recommended in the acute phase of the illness. Despite the fact that a significant proportion of patients will have full recovery with supportive therapies, or ECMO, a small percentage of patients may require cardiac transplantation. VADs are used as a bridge to transplantation, and it is estimated that approximately 88% of patients who are placed on a VAD will survive to receive successful cardiac transplantation . With regards to management the bottom line is: myocarditis is a terrifyingly treatable condition with relatively good outcomes in children, IF you have a high index of suspicion. ED providers can make a huge difference. After the patient was identified as likely having viral myocarditis, she quickly decompensated. She was intubated and then became pulseless. CPR was initiated simultaneously during cannulation with VA ECMO. The patient remained on vasopressor support for an additional 2 days and was successfully decannulated off ECMO 5 days later. She was discharged home on hospital day 21 with a normal ejection fraction. She was started on an ACE inhibitor and was noted to being doing very well at her follow up visit. Point of care bedside ultrasound is one of the most important tools in your arsenal. Use it! 1. Bergmann KR, Kharbanda A, Haveman L. Myocarditis And Pericarditis In The Pediatric Patient: Validated Management Strategies. Pediatr Emerg Med Pract. 2015;12(7):1-22. 2. Weber MA, Ashworth MT, Risdon RA, Malone M, Burch M, Sebire NJ. Clinicopathological features of paediatric deaths due to myocarditis: an autopsy series. Arch Dis Child. 2008;93(7):594-8. 3. Canter CE, Simpson KE, Simpson KP. Diagnosis and treatment of myocarditis in children in the current era. Circulation. 2014;129(1):115-28. 4. Butts RJ, Boyle GJ, Deshpande SR, et al. Characteristics of Clinically Diagnosed Pediatric Myocarditis in a Contemporary Multi-Center Cohort. Pediatr Cardiol. 2017;38(6):1175-1182. 5. Casadonte JR, Mazwi ML, Gambetta KE, et al. Risk Factors for Cardiac Arrest or Mechanical Circulatory Support in Children with Fulminant Myocarditis. Pediatr Cardiol. 2017;38(1):128-134.